Welcome to the second break the stigma episode of this season! Today we talk with an actress and mental health advocate, Noemi Gonzalez. Noemí Gonzalez is a first-generation immigrant from Mexico and a first-generation actress from within her family. Noemi is best known in her standout role as “Soli Gomez” in the hit series East Los High on Hulu. You might have also seen her in films such as Paranormal Activity: The Marked Ones, The Vatican Tapes, Traces and recurring in television shows such as The Kicks, Rosewood, Gang Related and more. She has also been featured in theatre productions, several commercials, and was hand-selected to be an ABC Diversity Showcase Participant. Currently Noemi is making her daytime debut as Mia Rosales on The Young and The Restless. Today, we dive into her story of strength as it relates to her family and experience with therapy. Noemi opens up about her older brother’s diagnosis with bipolar and schizophrenia, and her younger brother’s diagnosis with autism, and where they are all at now in life. ****TRIGGER WARNING: ABUSE (sexual)****18:22 and on. She talks to us about her experience with her childhood religion and how her congregation took care of the sexual abuse she encountered as a minor. Noemi shares exclusively with us about the stigma and shame about attending therapy for those in the acting industry. Here are the time markers: 5:42 is where Noemi’s background story begins 6:49 sidetracked by my wedding 8:20 begin to talk about her family’s view of mental health & 10:39 we talk about the effects of being parentified & how our culture sees someone as “functioning” when they do not have a diagnosis 18:22 growing up Jehovah's Witness & sexual abuse, DCFS & the start of therapy experience 22:42 my dog interrupts the interview briefly 23:50 Noemi talks more about experience and view of therapy 25:28 challenges of being an actress 27:33 the evolution of the stigma in the acting industry about therapy & the worries of being a high profile/celebrity client and being in therapy 30:16 advice for families experiencing a mental illness diagnosis 35:45 boundaries Noemi needed to maintain your mental health & examples If you or a family member are struggling with your mental health, or have questions about it, contact the National Alliance of Mental Illness (NAMI) 1-800-950-NAMI (6264) or email at info@nami.org. 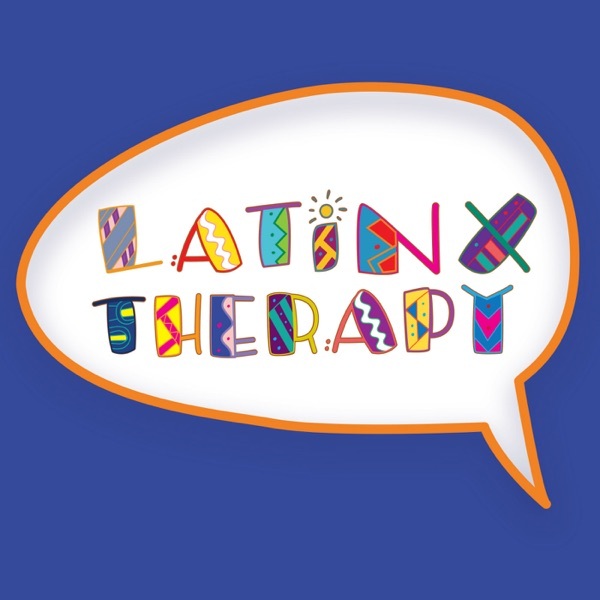 If you’d like to reach out to Noemi, you can find her on Instagram @iamnoemigonzalez Check out Latinx Therapy’s new website filled with resources! Follow us on Instagram, Twitter or Facebook: @latinxtherapy If you are a therapist that works with the Latinx community, and are in private practice, be sure to sign up to become an official member of Latinx Therapy.